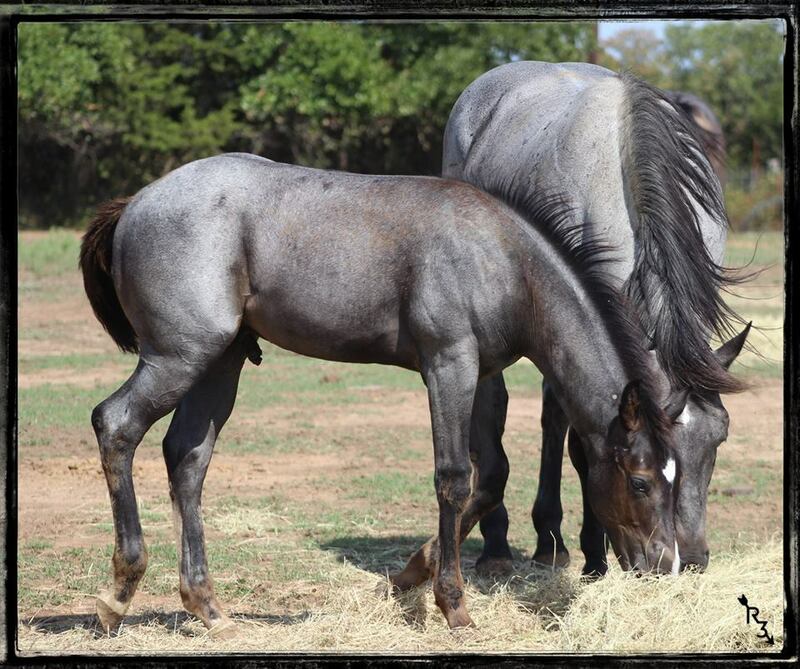 Below you will find photo's of OFFSPRING from SWISHER HANCOCK. 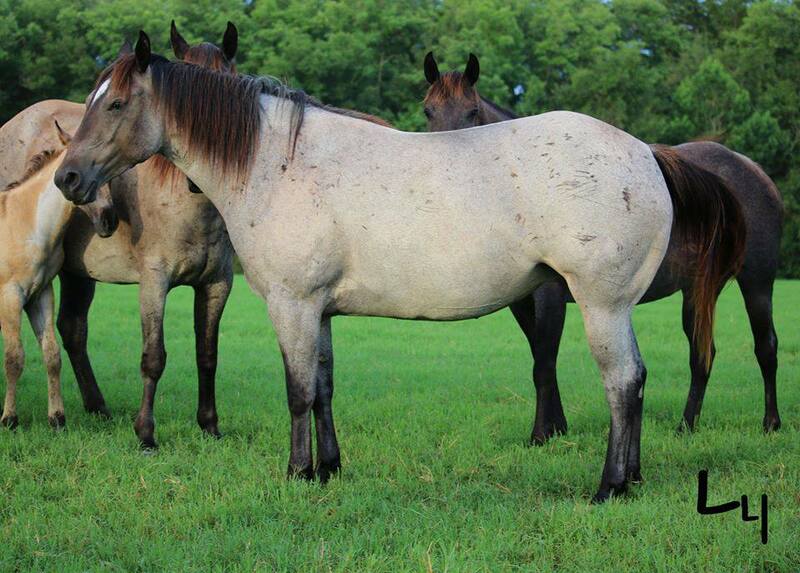 2015 on will be GET from when R3 purchased SWISHER and bred to our mares. 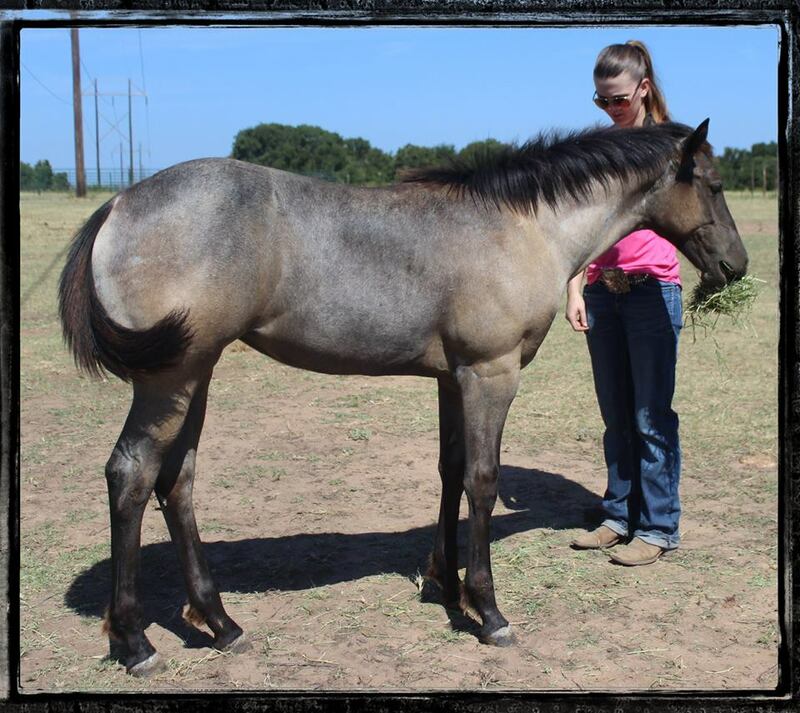 Once you get to the photo's past 2015, those are mostly from when SWISHER stood at L4 before we purchased him in 2014. 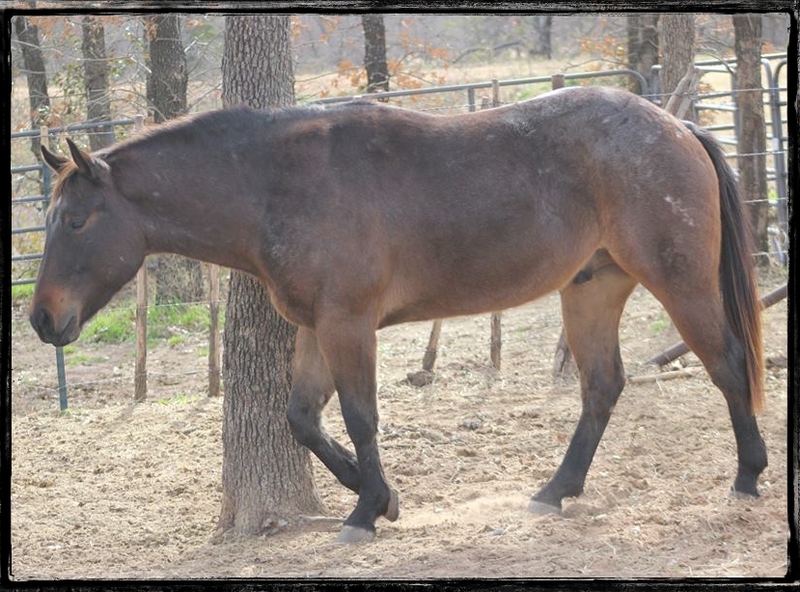 I was lucky enough to take those photo's personally at L4 when I represented their ranch and sold horses for them for several years. 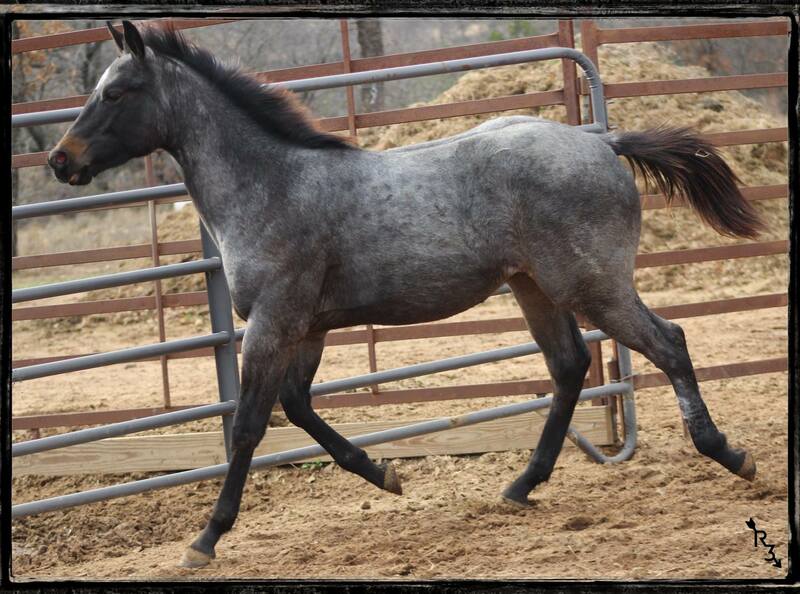 That was also how we came to purchase SWISHER, I got 1st option when he went on the market! 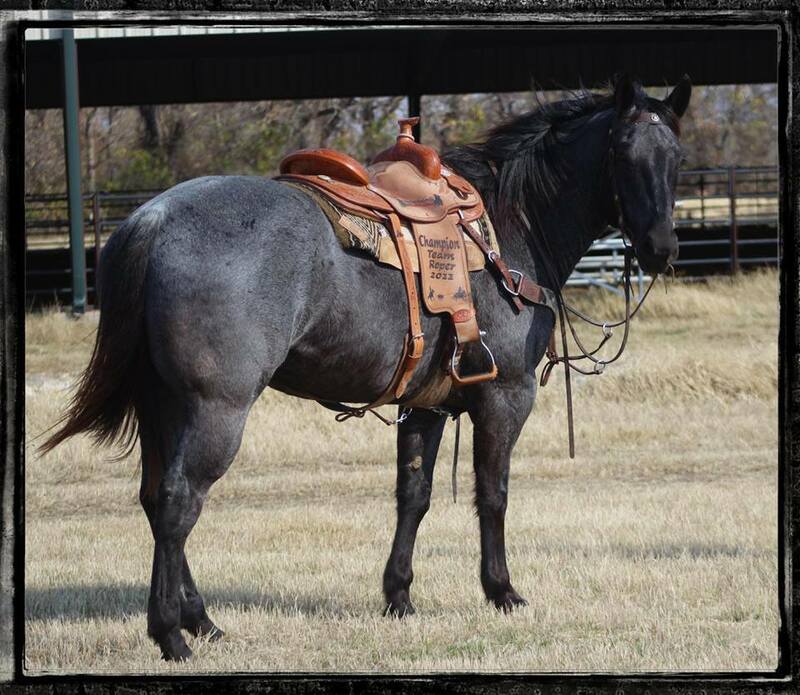 SWISHER has many more GET then what you will see represented here. 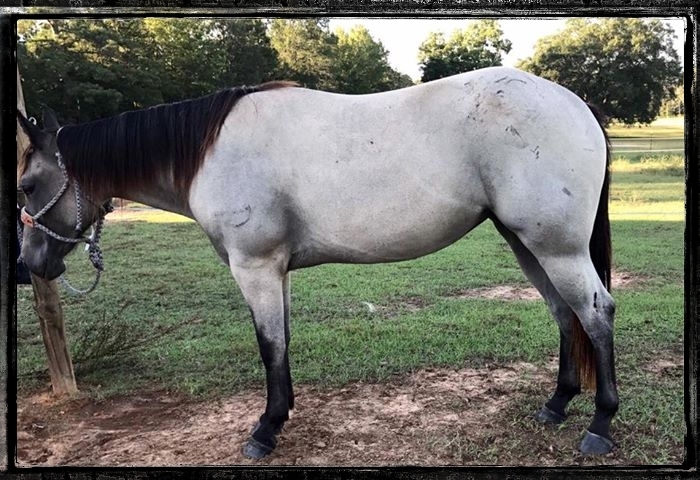 The ones you will find represented prior to us purchasing him are the ones I had access to that were still on L4, either as brood mares or held back to TEAM ROPE. 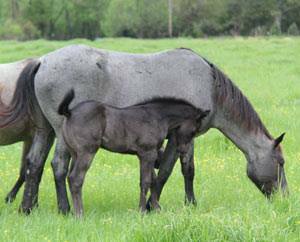 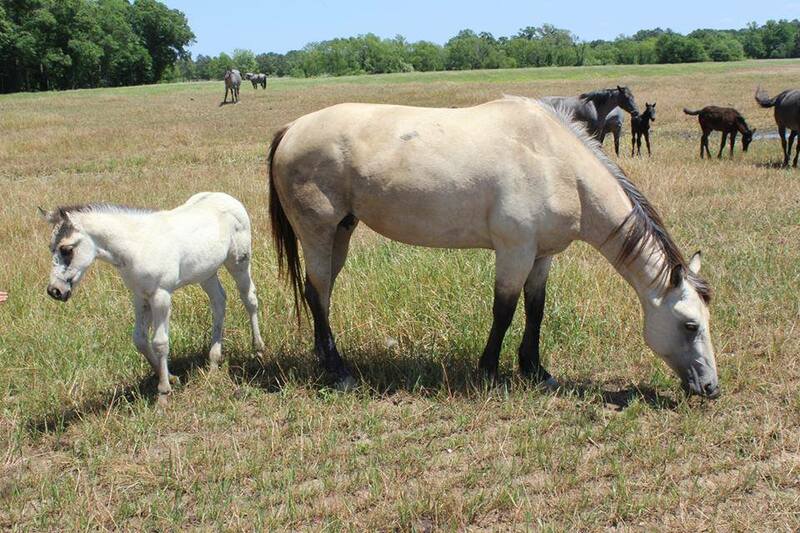 Through my research, SWISHER produced 48 foals from 2005 to 2012 for L4. 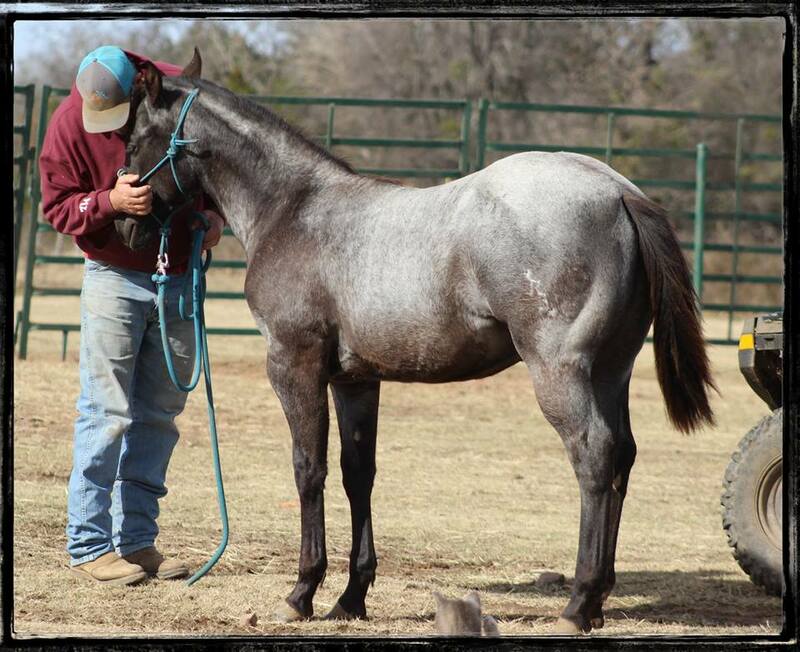 He was leased out for 2013-2014, as to date none of those foals are on AQHA's record. 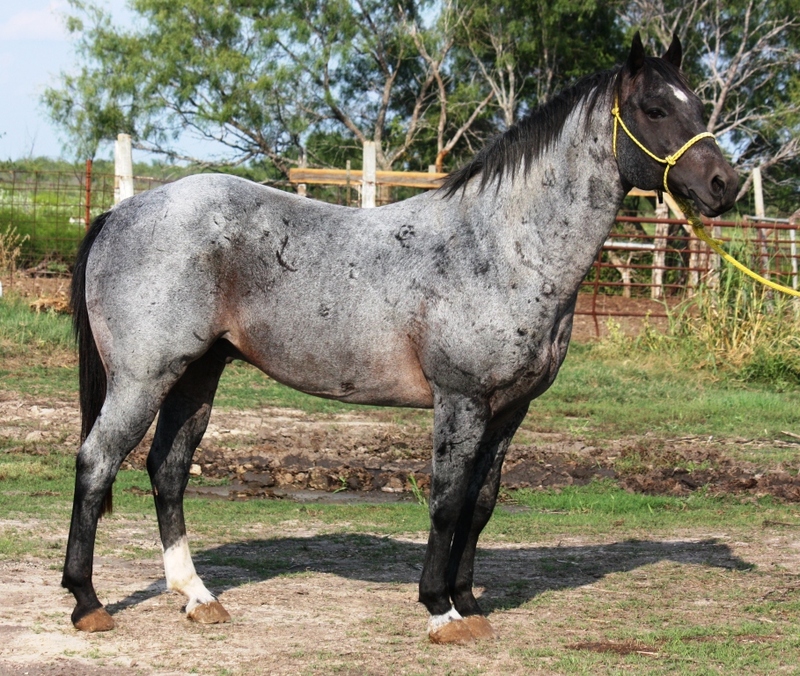 We got him late in the 2014 breeding season and only got one mare in foal that year. 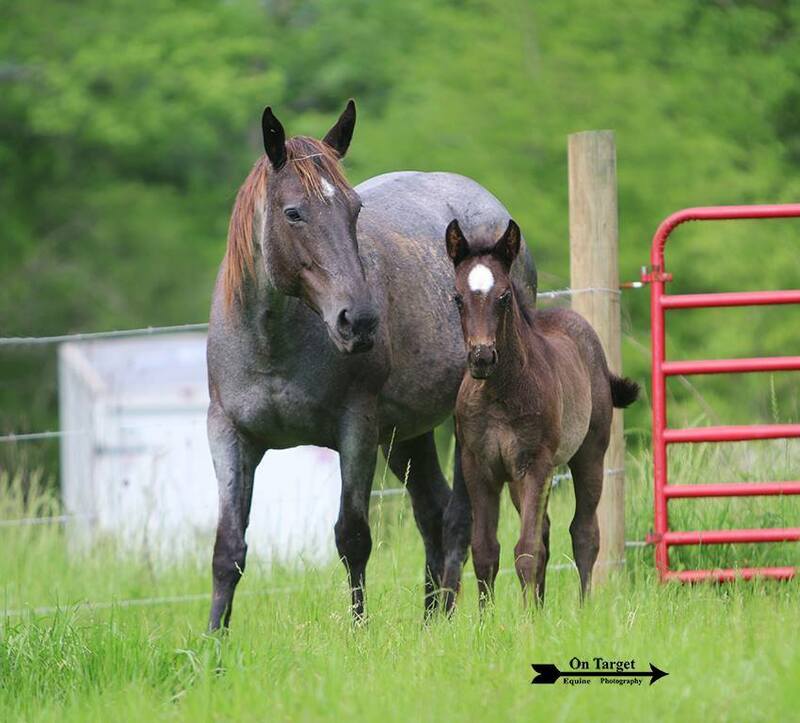 Another 30+/- can be added to his total foal count after the 2019 foaling season. 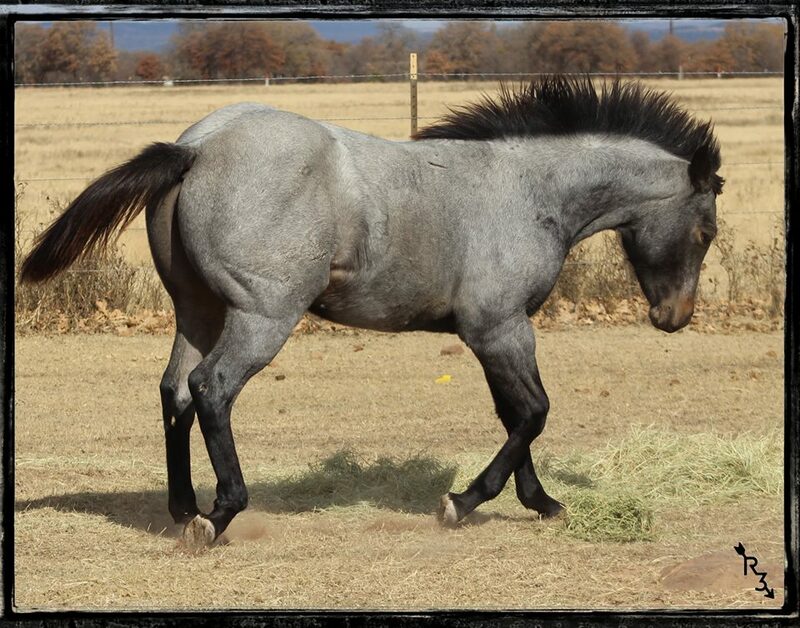 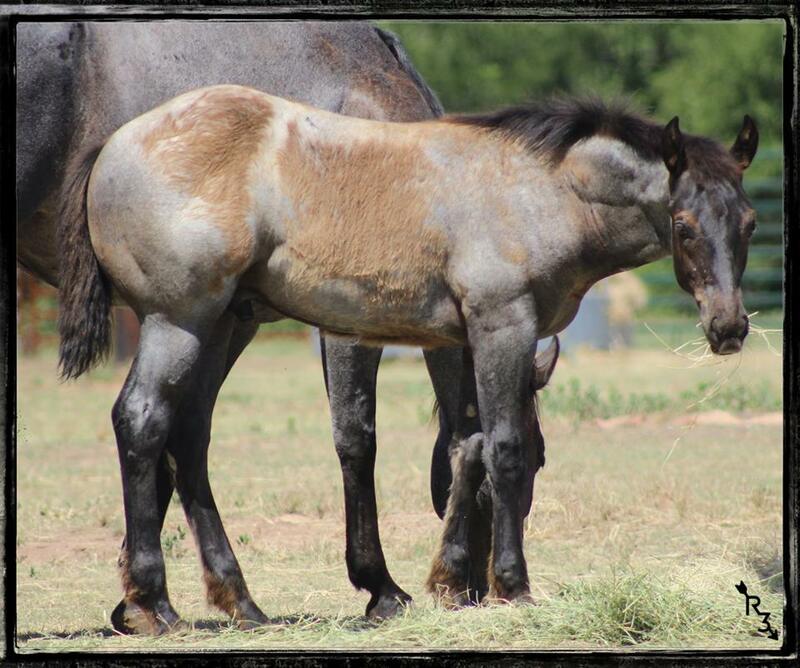 '18 Blue Roan Colt "Swishers Blue CowBug aka Bugsy". 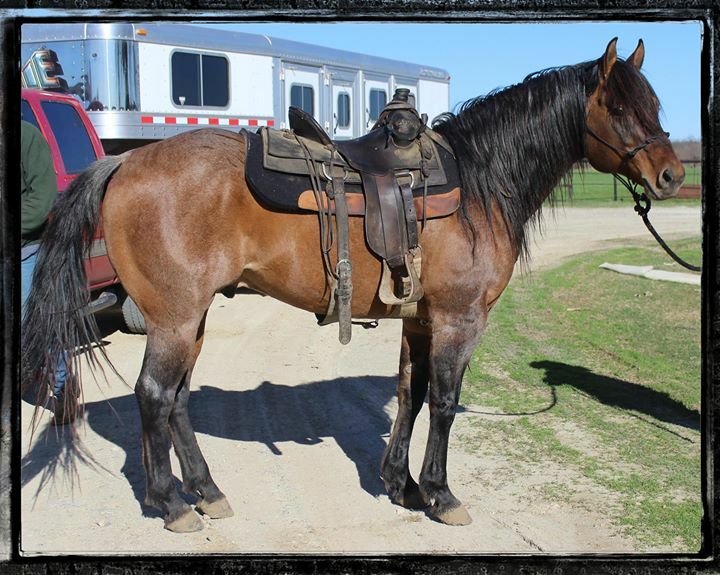 Resides here w/us at R3! 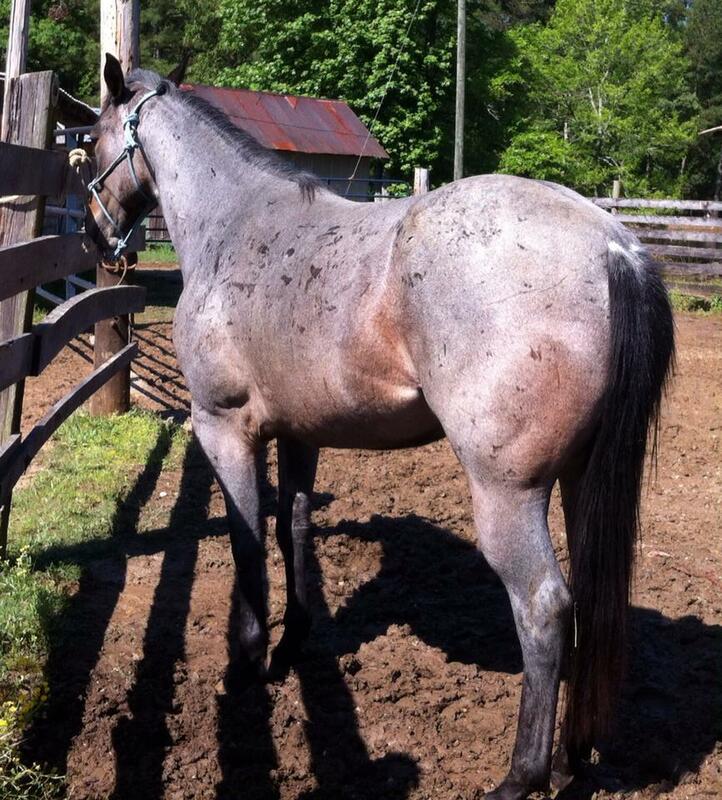 Check out "Our Geldings" tab to follow his career. 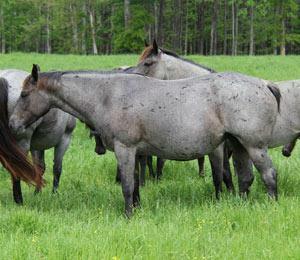 '18 Blue Roan Colt "Swishers Blue Goose" / '18 Brown Roan Colt "Dividends nDinero R3 aka Tres"
'18 Blue Roan Colt "Cinco De Swisher aka Derby" / '18 Brown Roan Colt "Swisher Razed Da Bar"
'17 Brown Roan Colt "SwishersCashinChecks aka Cash" / '17 Brown Roan Filly "Swishin Kendall Kat"
'17 Brown Roan Filly "Swishers Wild Willow" / '17 Brown Roan Colt "Swishers Smokin Gun"
'16 Brown Roan Colt "SwishersDeuceCoup R3 aka Deucee". 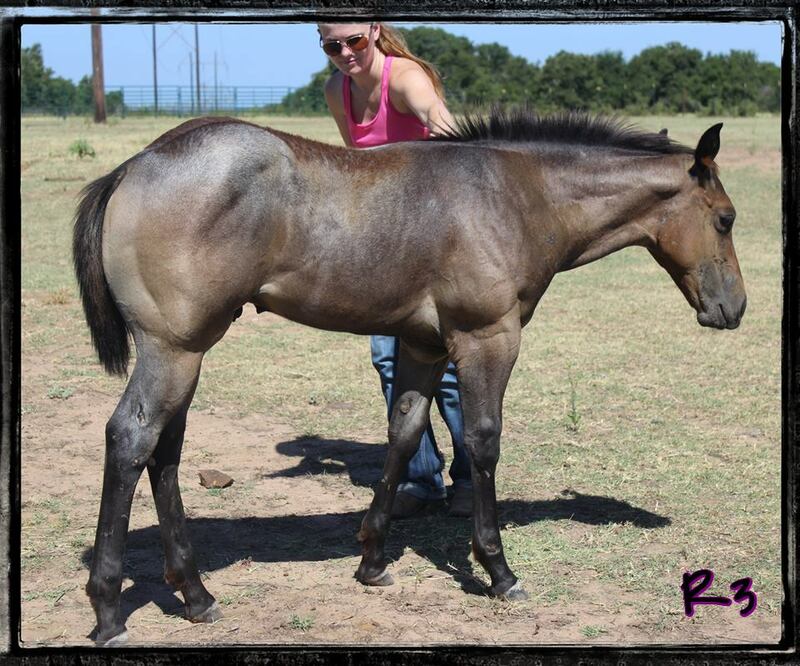 Resides here w/us at R3! 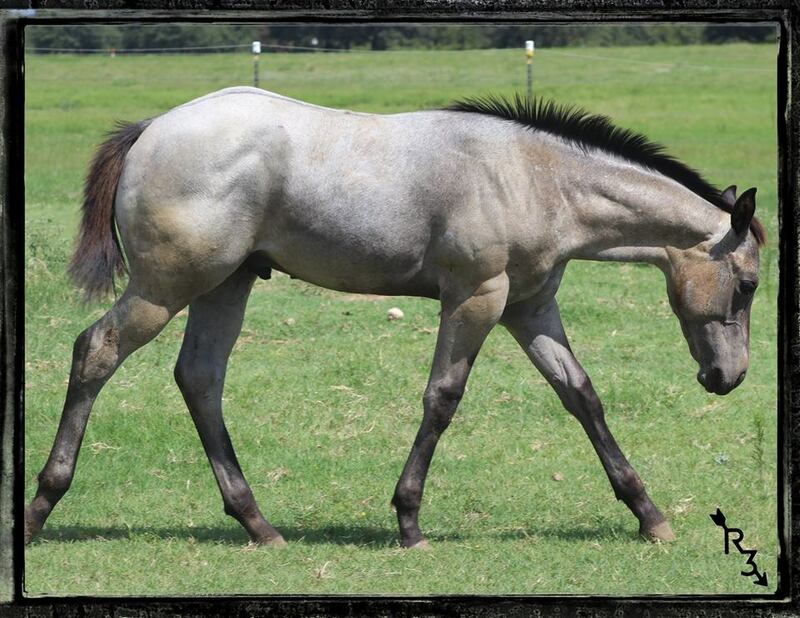 Check out "Our Geldings" tab to follow his career. 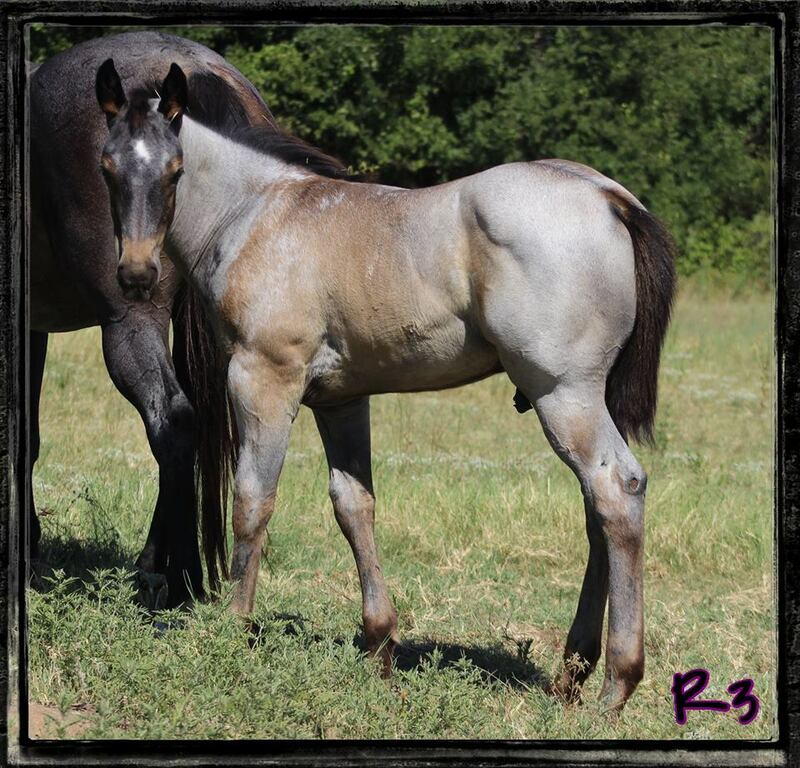 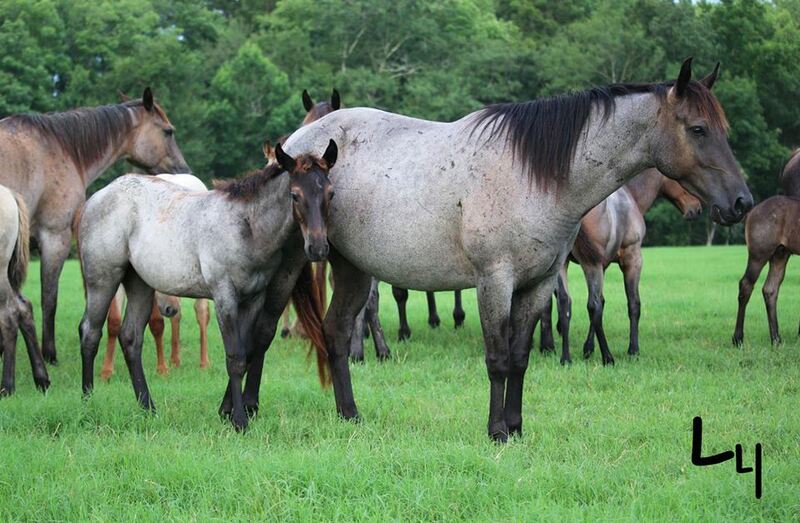 2016 Brown Roan Colt "Swishers AlCapony R3" / 2016 Blue Roan Colt "Swishin InMy Coup R3"
2015 Brown Roan Filly "Harley Dividend R3"
2009 Blue Roan Gelding "Try Swishers Amigo" aka Dakota. 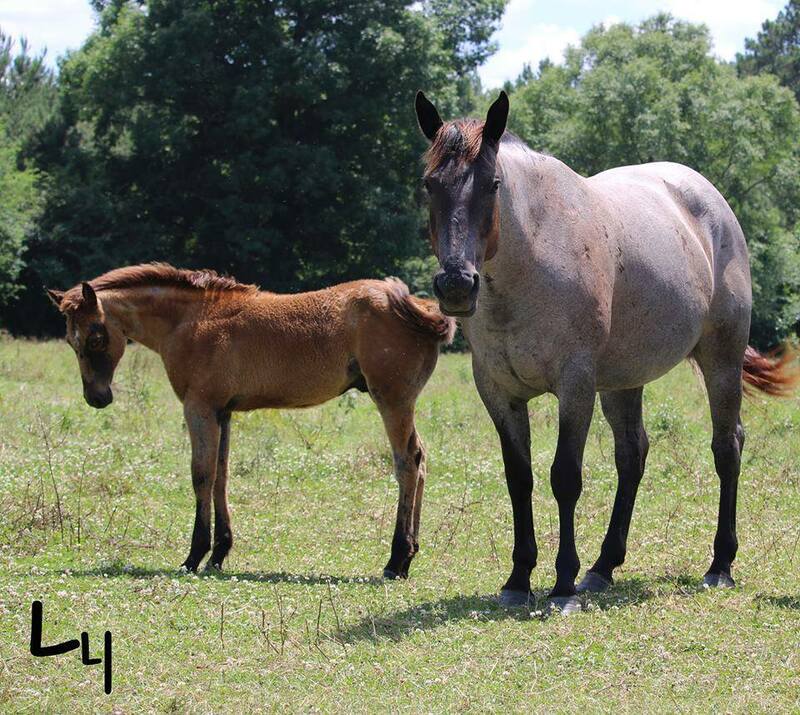 Resides here w/us at R3! 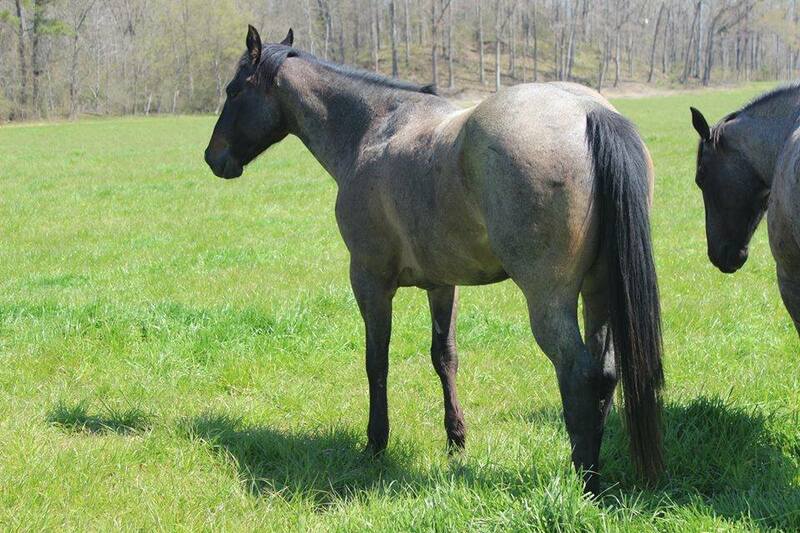 Check out "Our Geldings" tab to follow his career. 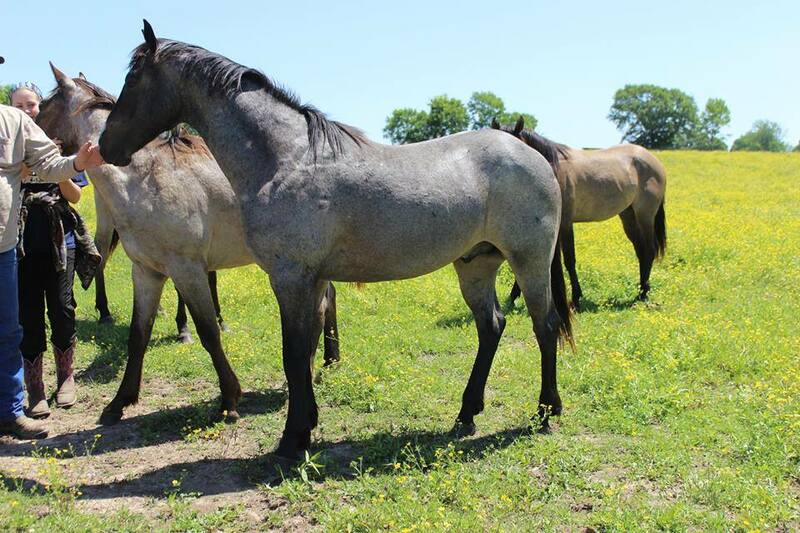 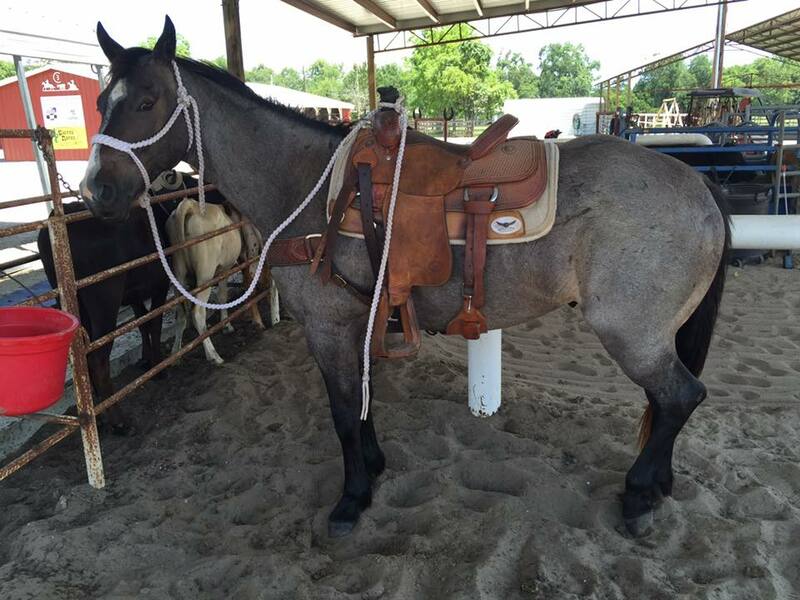 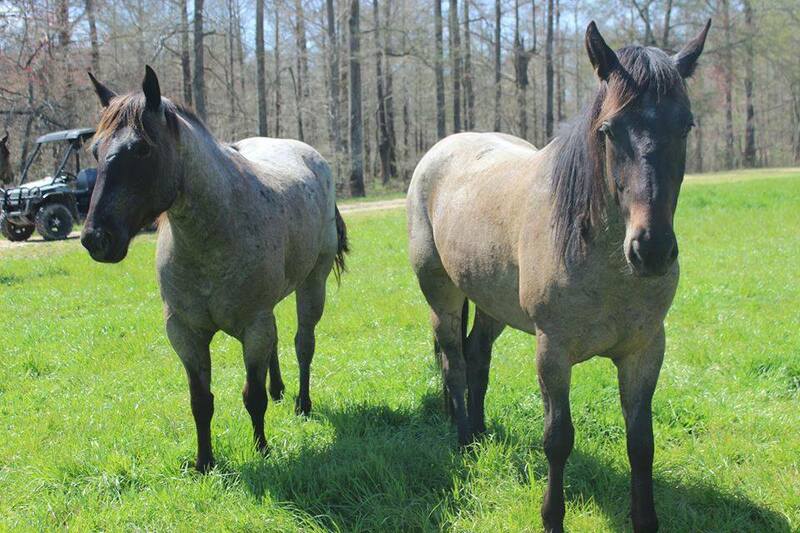 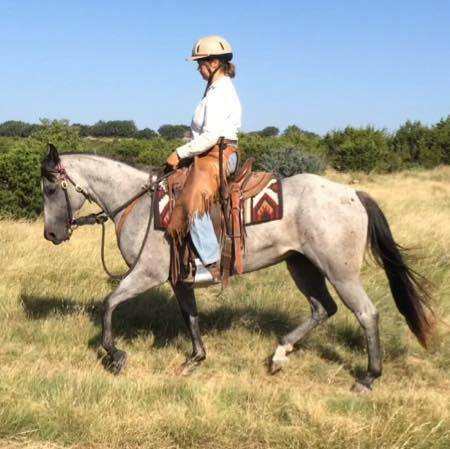 2009 Blue Roan Mare "Lowes Chicarro"
2005 Blue Roan Gelding "Coupe Platte" aka Treelimb. 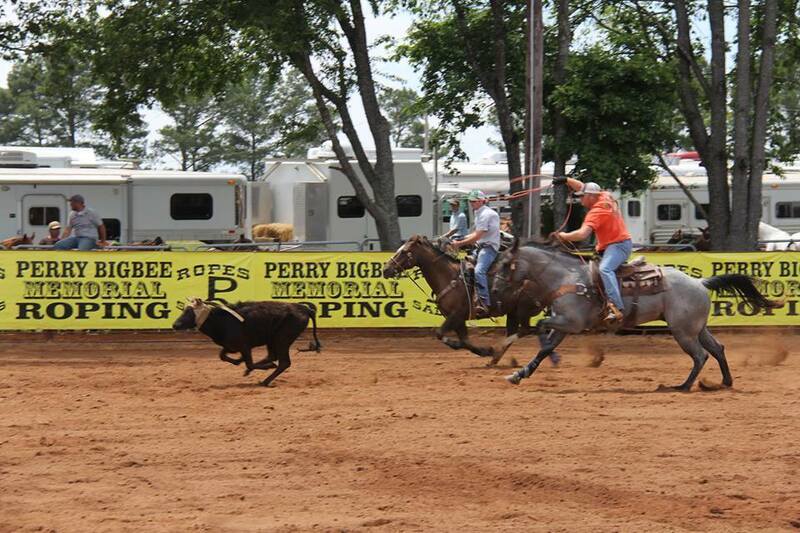 Constantly making bank in Team Roping Jackpots! 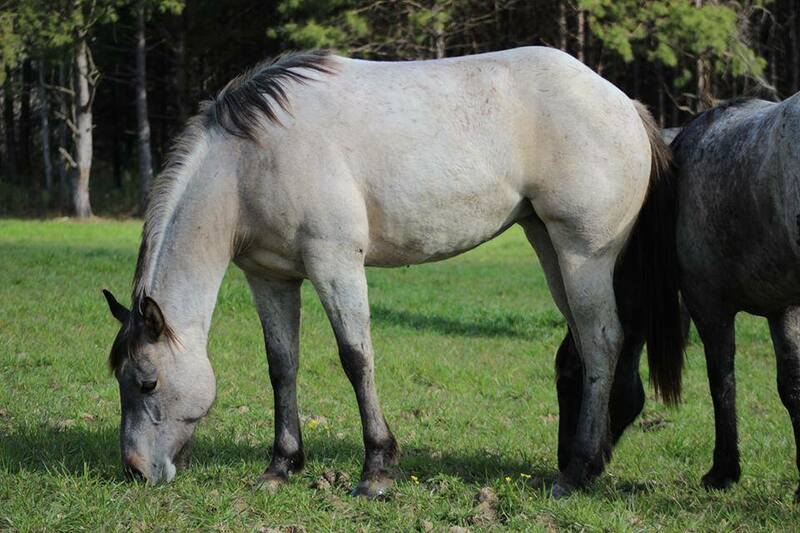 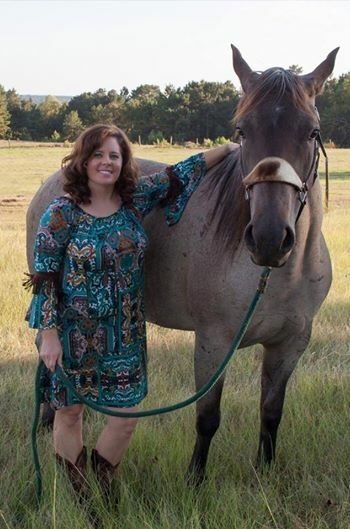 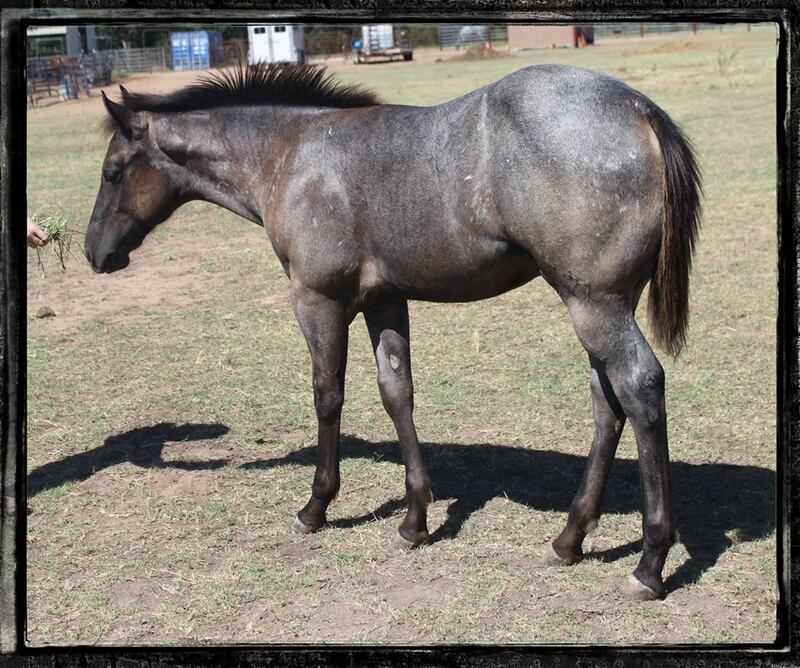 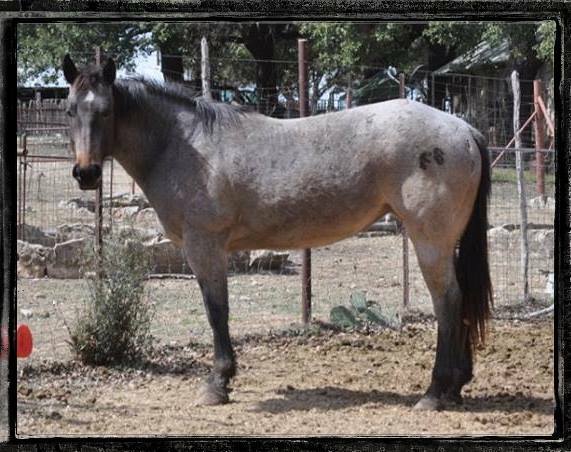 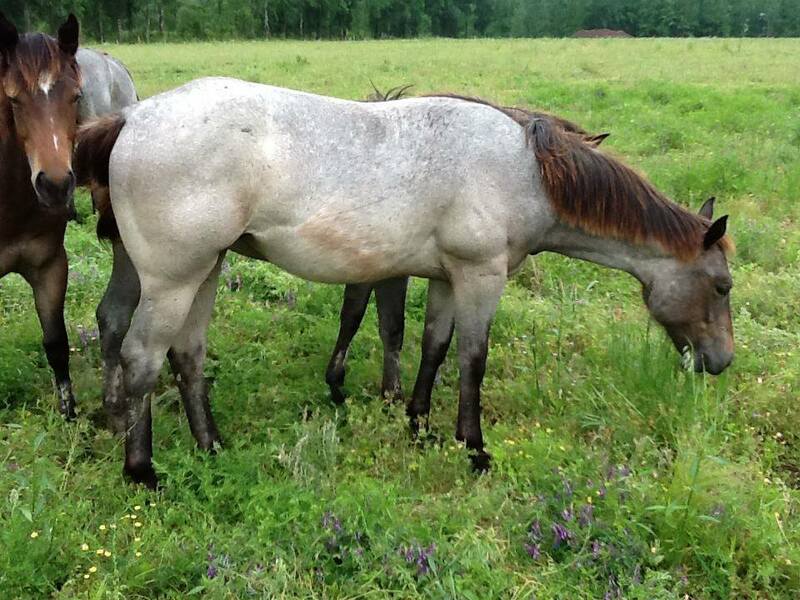 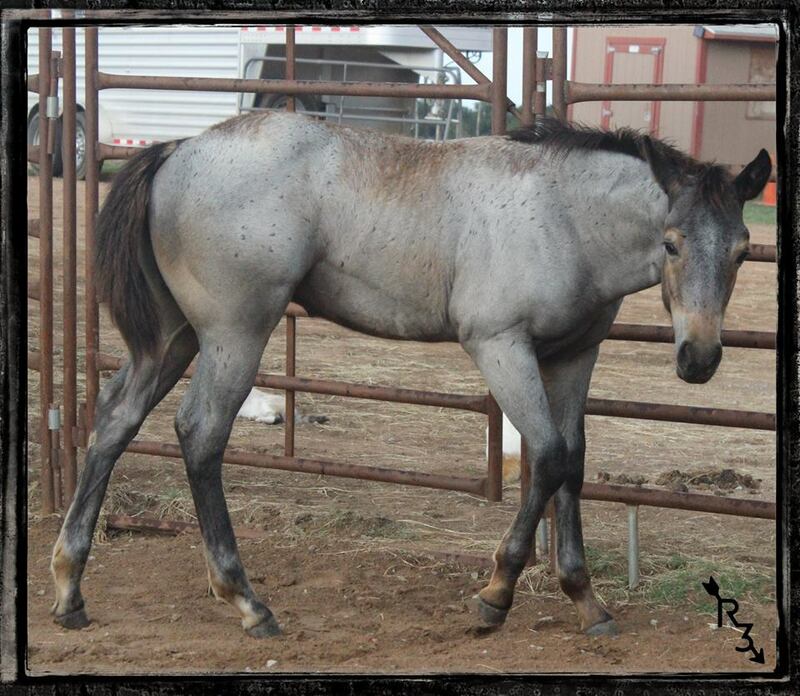 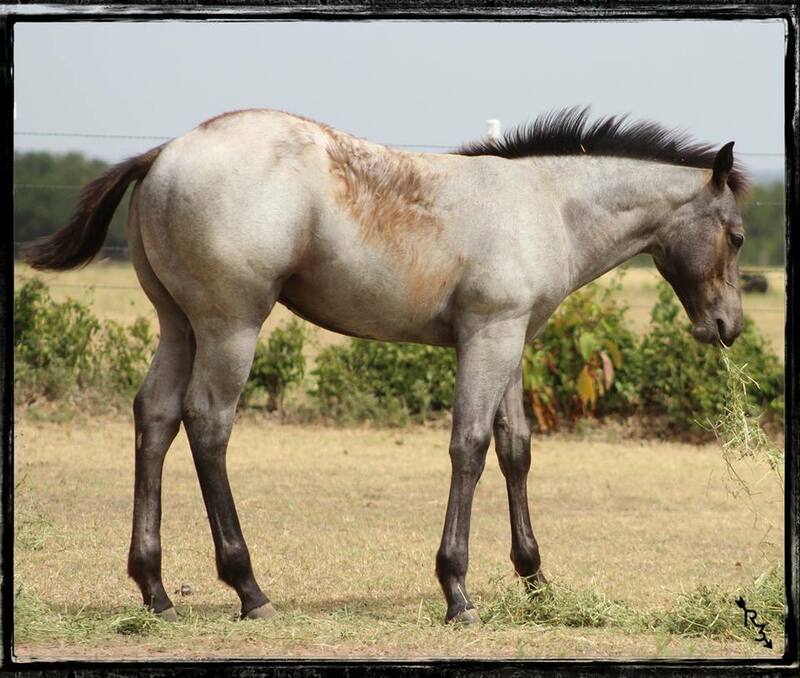 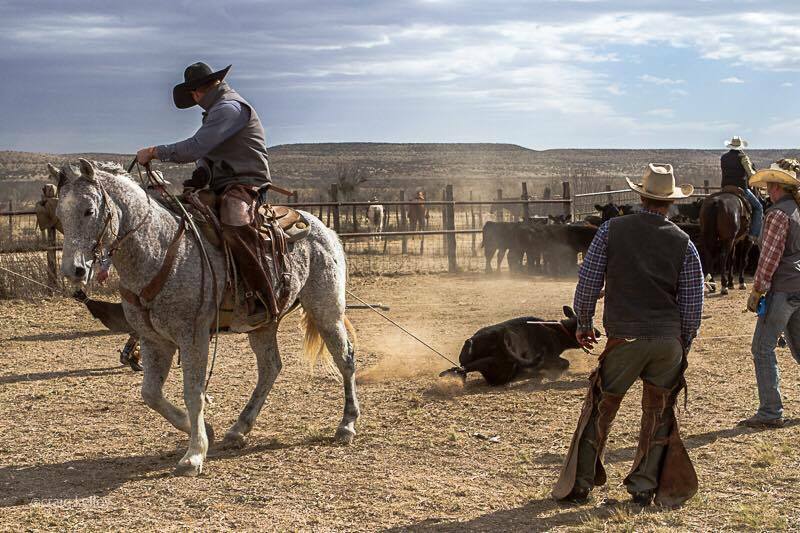 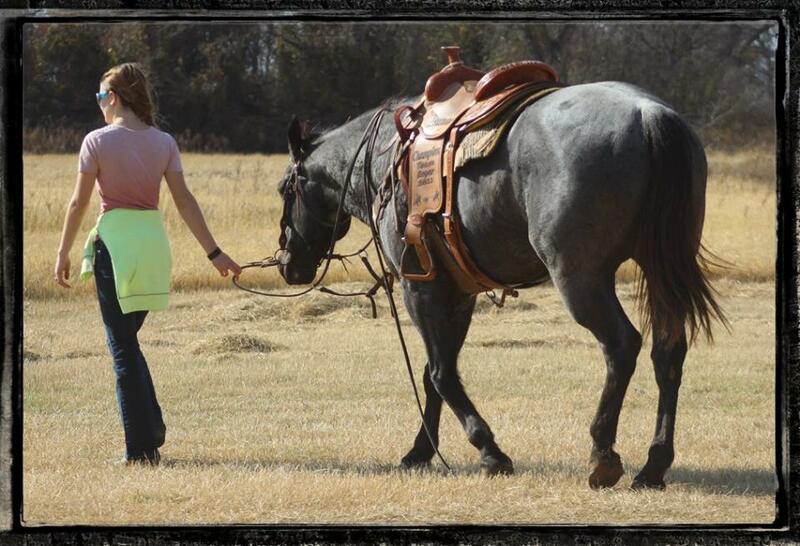 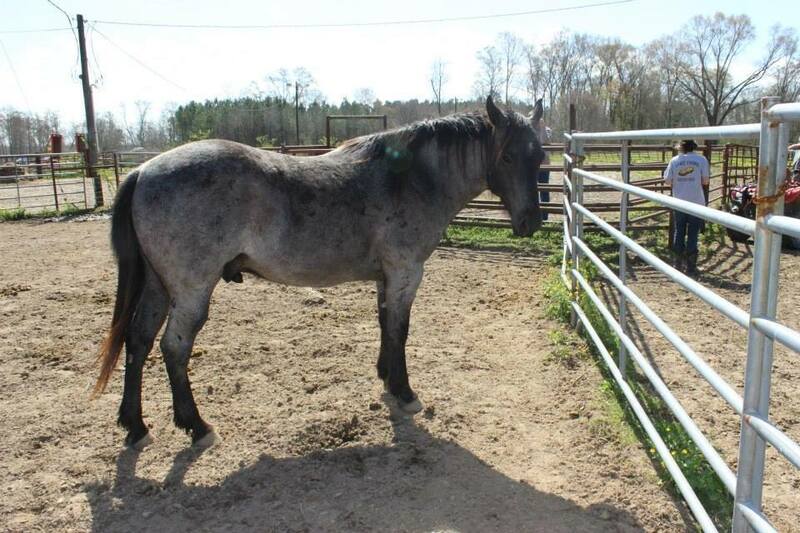 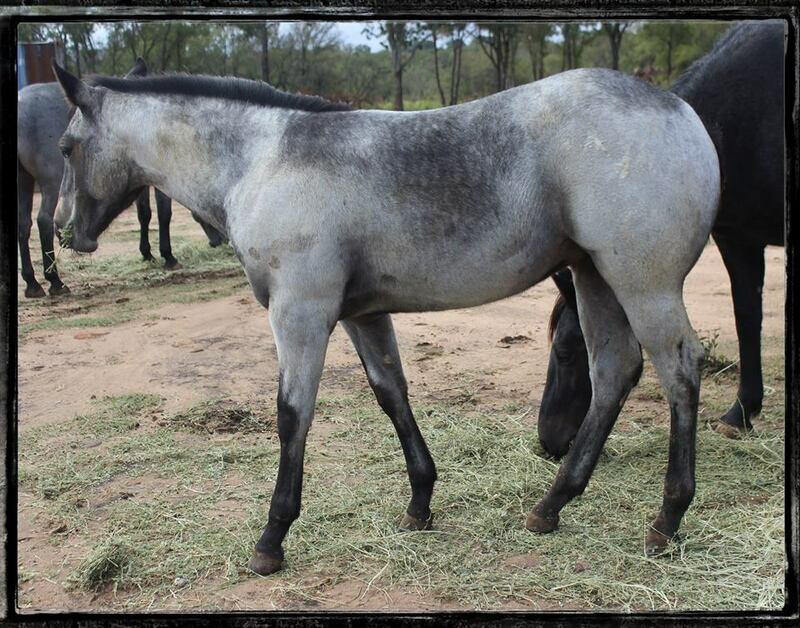 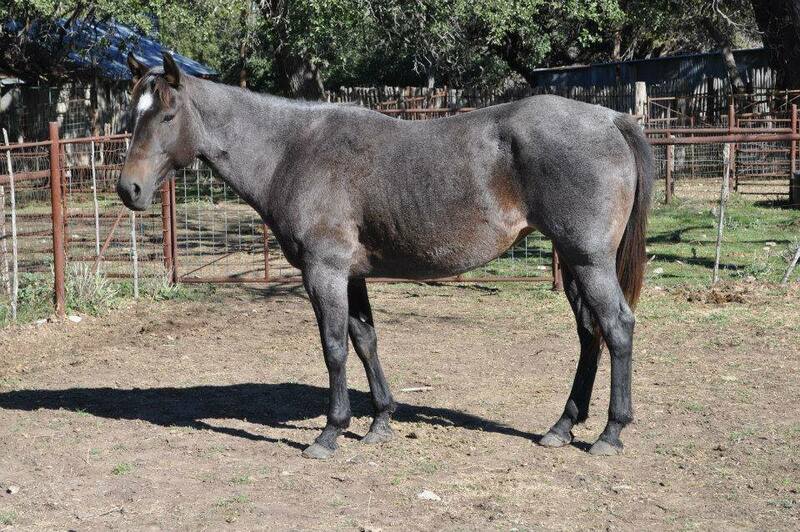 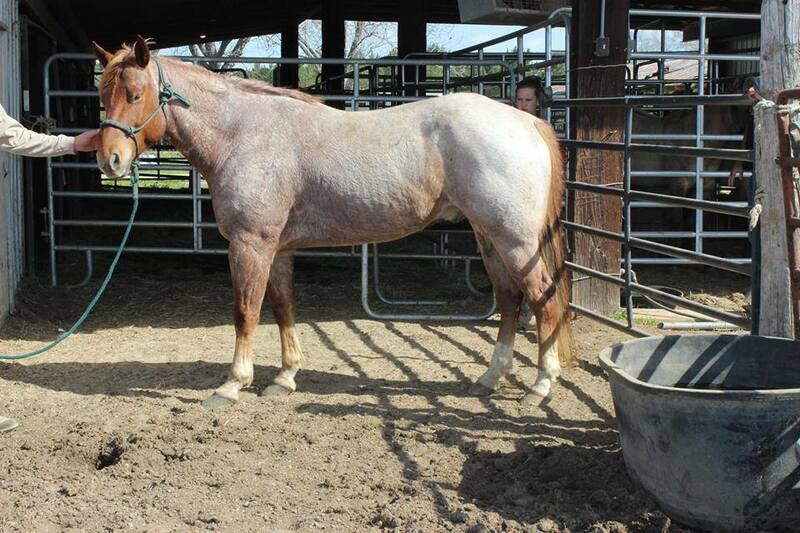 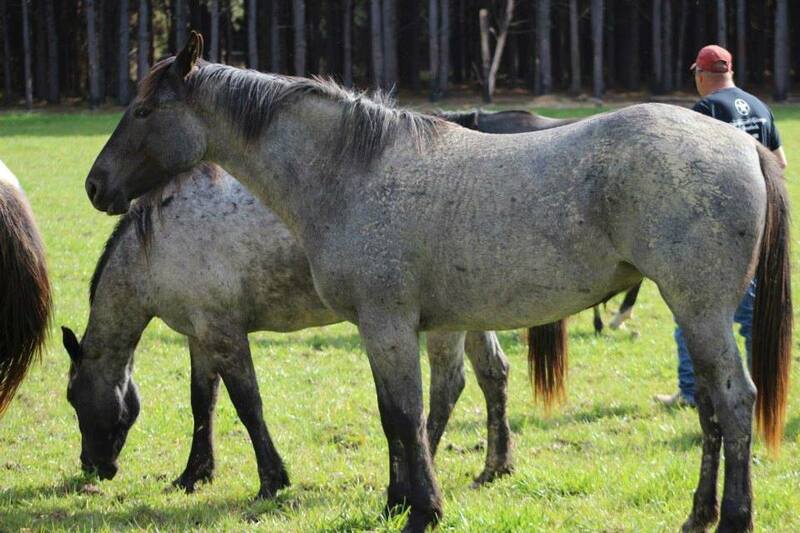 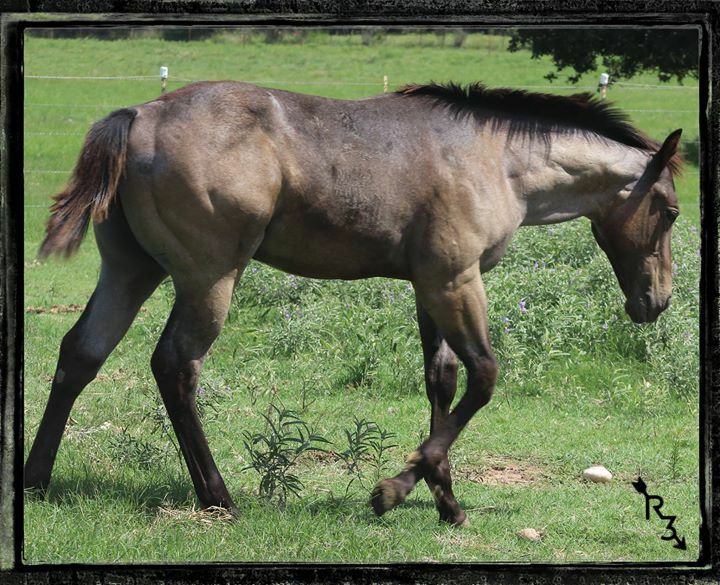 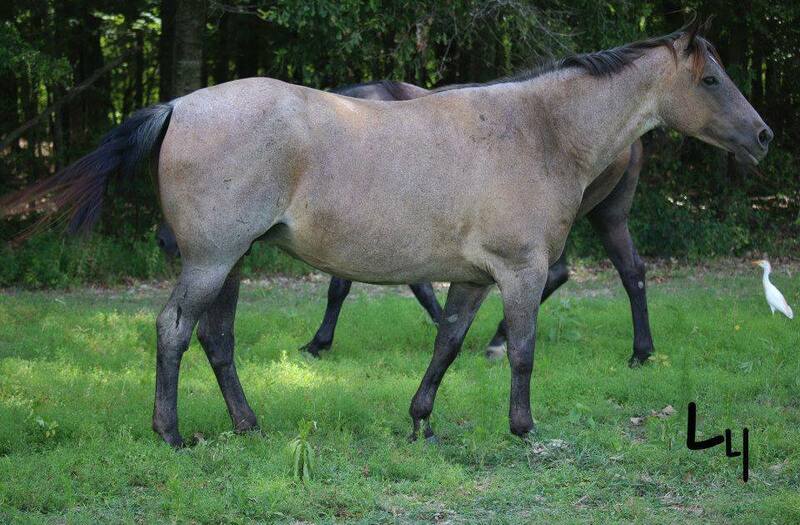 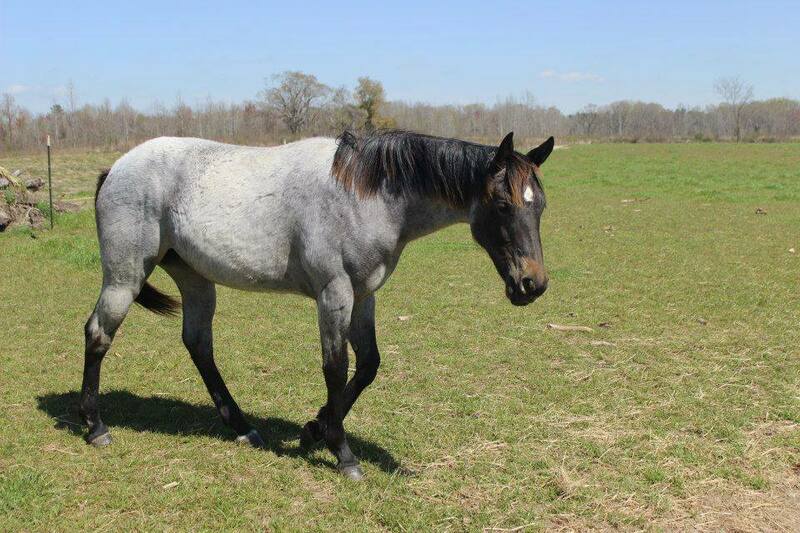 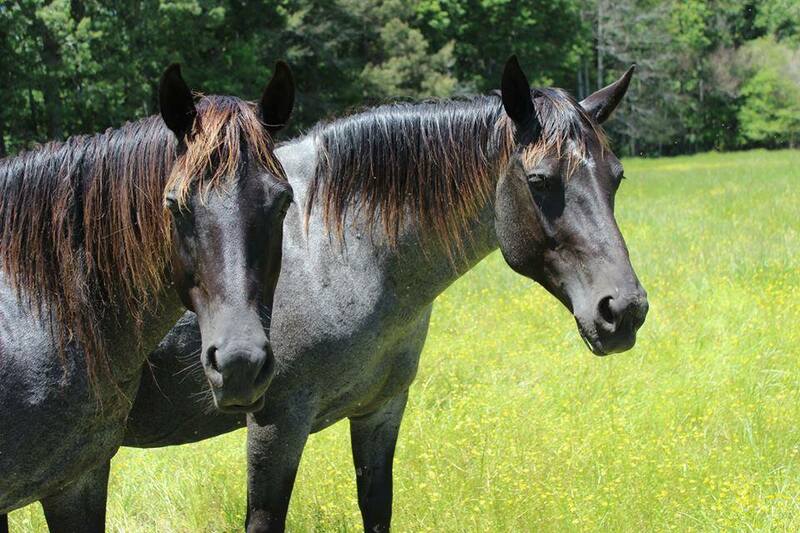 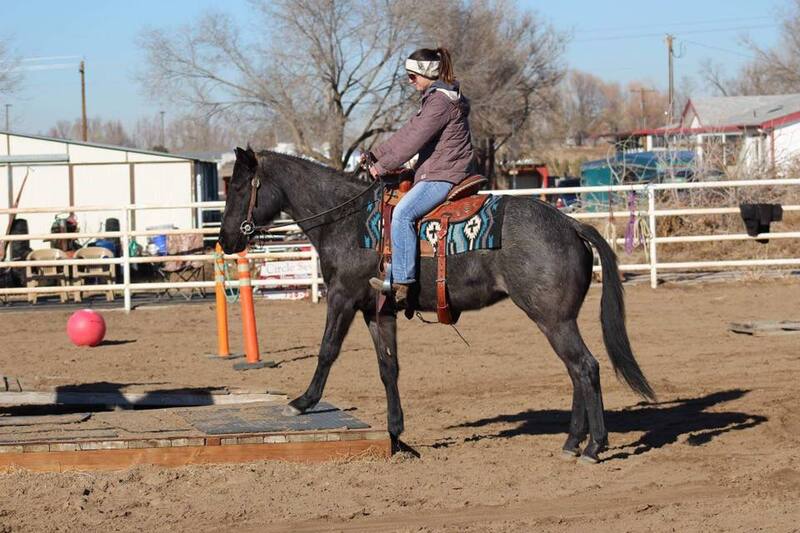 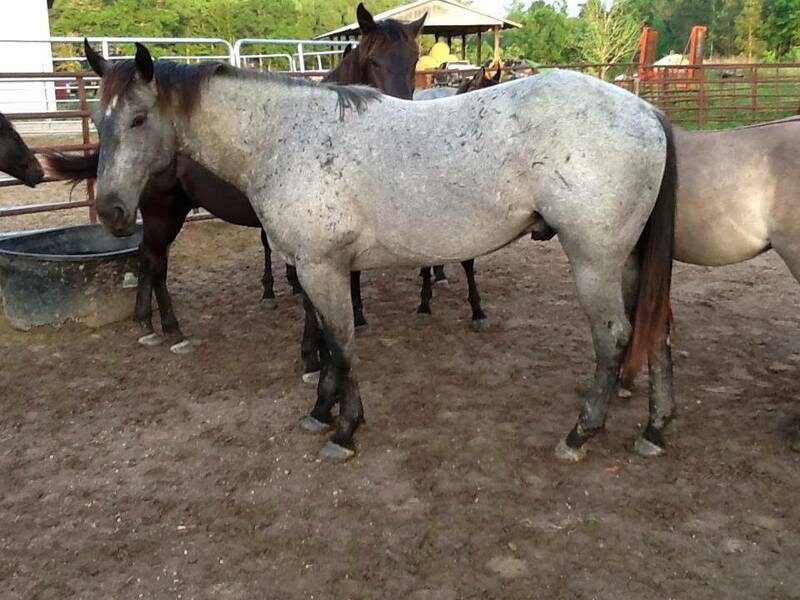 2012 Blue Roan Gelding "Lowes Plenty Blaze aka Archie". 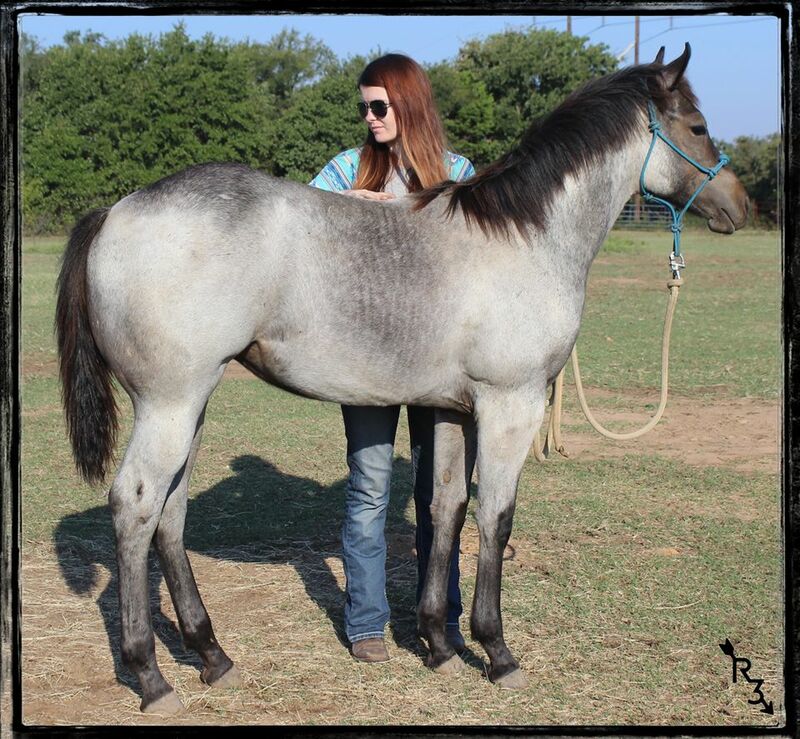 2007 Brown Roan Mare "Swishers Blue Girl" / 2010 Blue Roan Mare "Lowes Blue Salty"
2011 Blue Roan Mare "Lowes Allie Blue"
2008 Bay Roan Gelding "Lowes Blue Dog" / 2010 Blue Roan Gelding "Lowes Blue Foxy"
2010 Dun Roan Mare "Lowes Dun Flem" / 2009 Blue Roan Mare "Lowes Essie"
2012 Brown Roan Mare "Lowes Frisky Hancock" / 2009 Blue Roan Mare "Lowes Maybelle Blue"
2009 Blue Roan Mare "Lowes Ms Blue" / 2009 Buckskin Mare "Lowes Ms Buckskin"
2005 Red Roan Gelding "Burner Coupe". 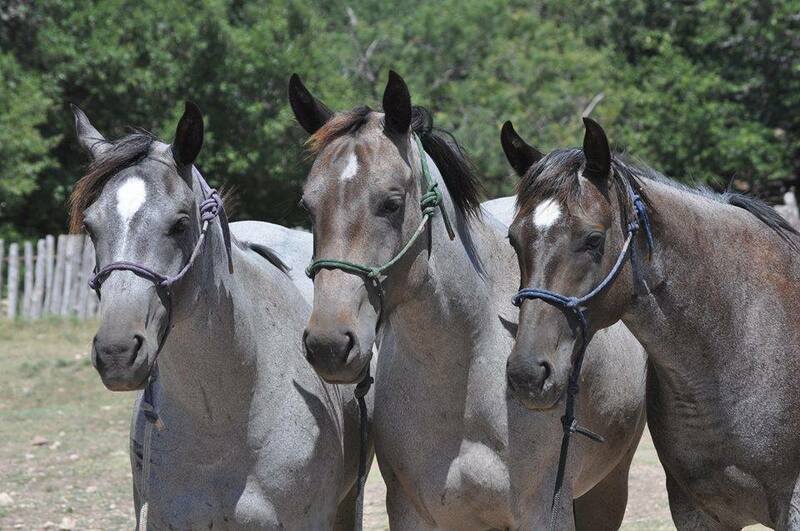 Excels in Team Roping / 2011 Blue Roan Mare "Lowes Prissy Chicarro"
2009 Brown Roan Mare "Lowes Swisher Carrie". 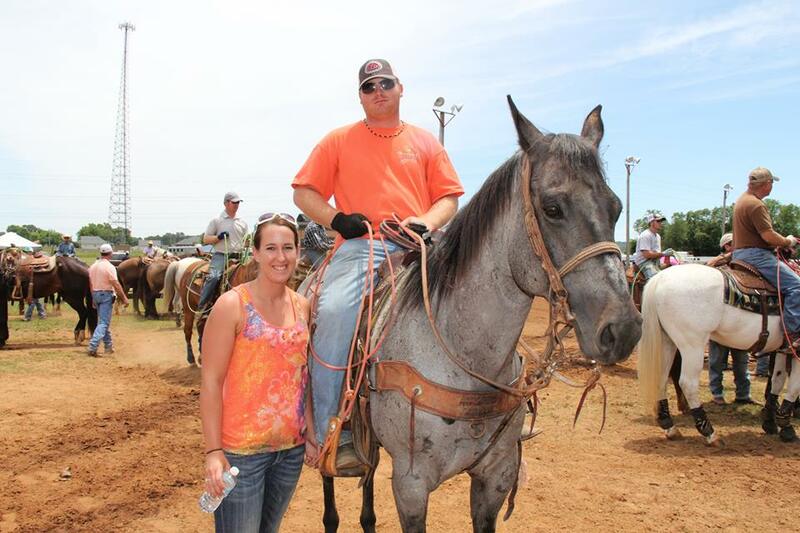 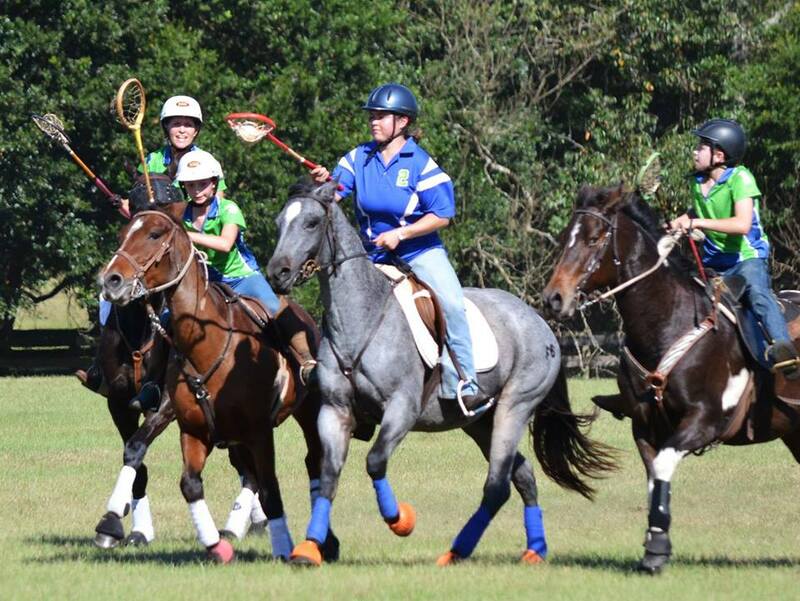 All around family go to horse, team ropes, trail rides, parades. 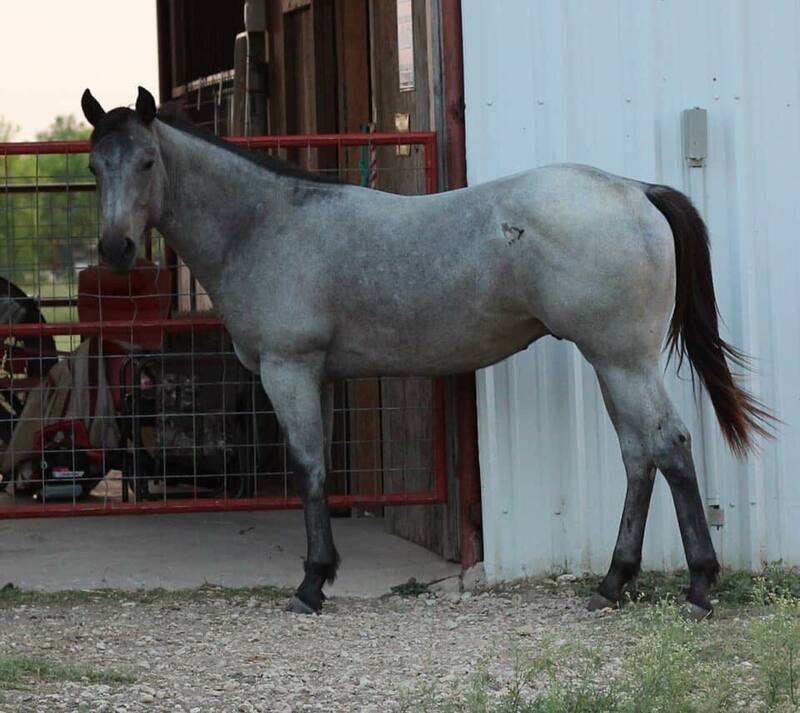 2010 Bay Roan Gelding "Lowes Soto" / 2008 Blue Roan Gelding "Lowes Salty Roan"
2012 Brown Roan Mare "aka Nilla" / "Drifts Dividend" and "Blue Beauty Two"
2012 Brown Roan Mare "Swishers Dividend" / 2006 Brown Roan Mare "Swisher Blue Hancock"
"Lowes Blue Platte" and "Lowes Blue Dog" / 2009 Blue Roan Gelding "Lowes Blue Chip"
Brown Dun Roan Stallion "Josephs Dividend aka Cinnamon". 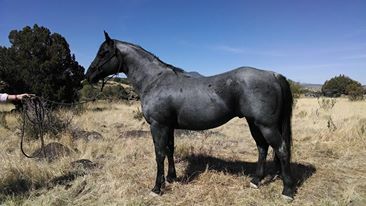 Brown Roan Stallion "Mr Clyde Hancock". 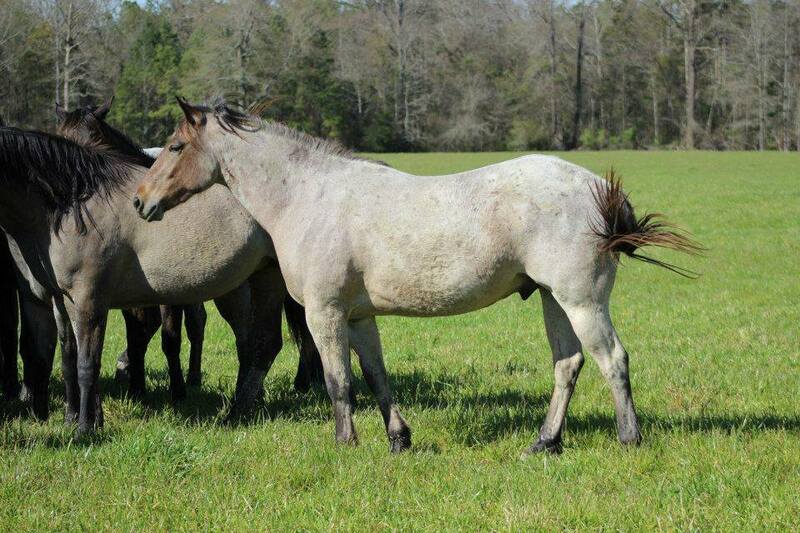 Brown Roan Stallion "My Hancock aka Goose". 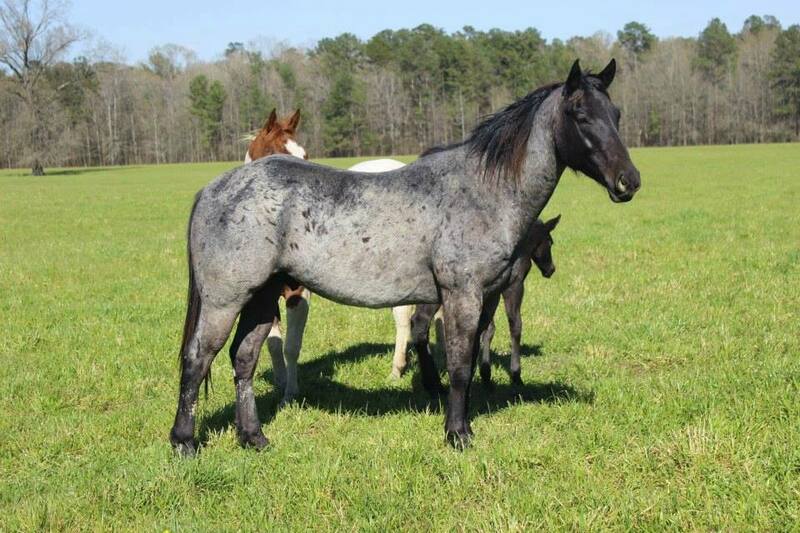 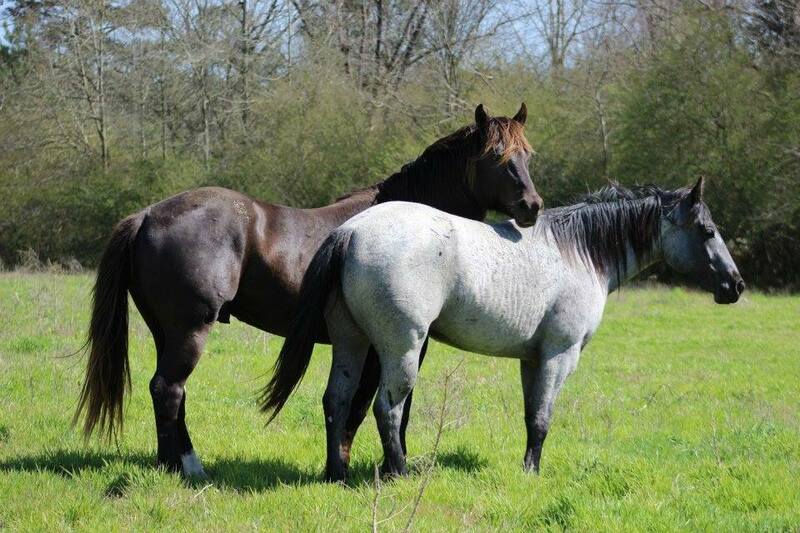 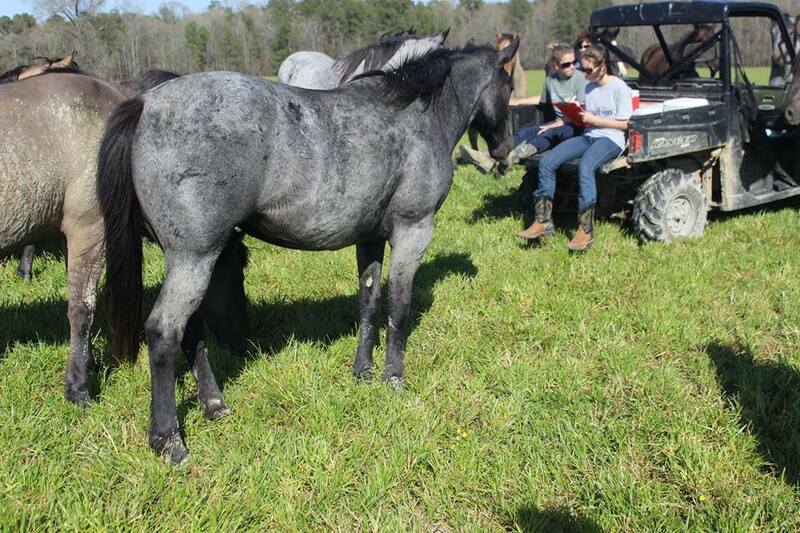 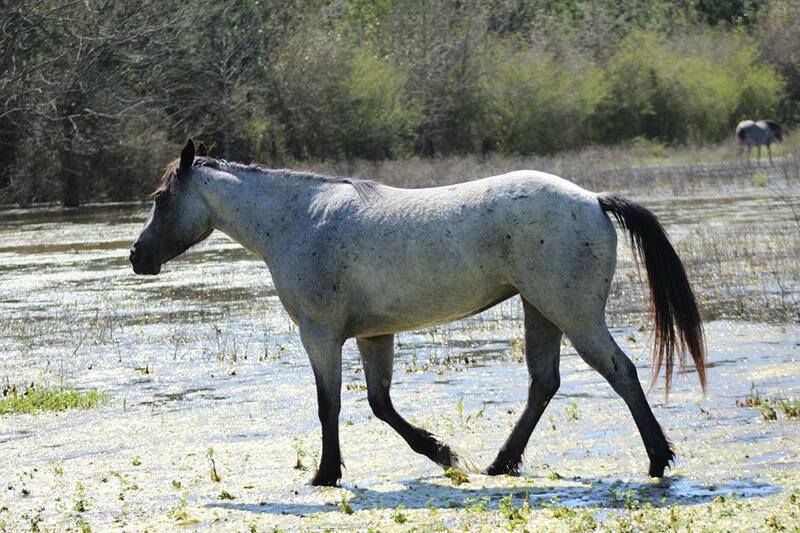 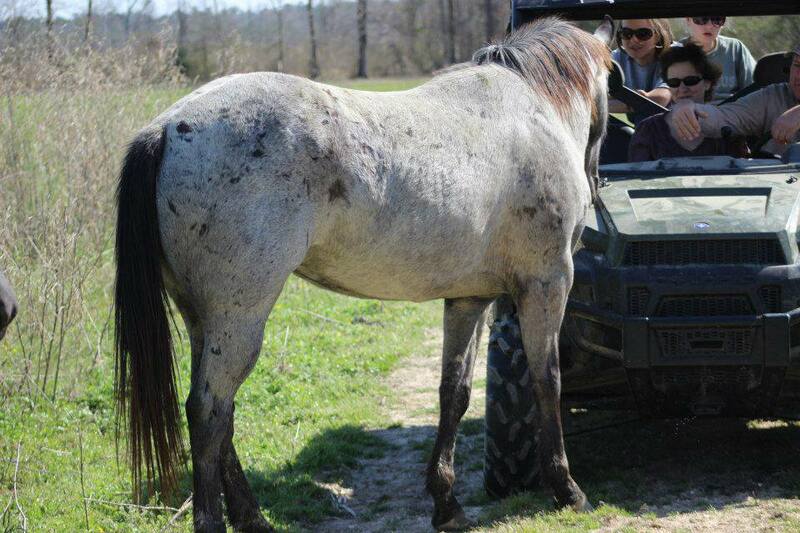 Gray (blue roan based) Stallion "Tens Blue Bell". 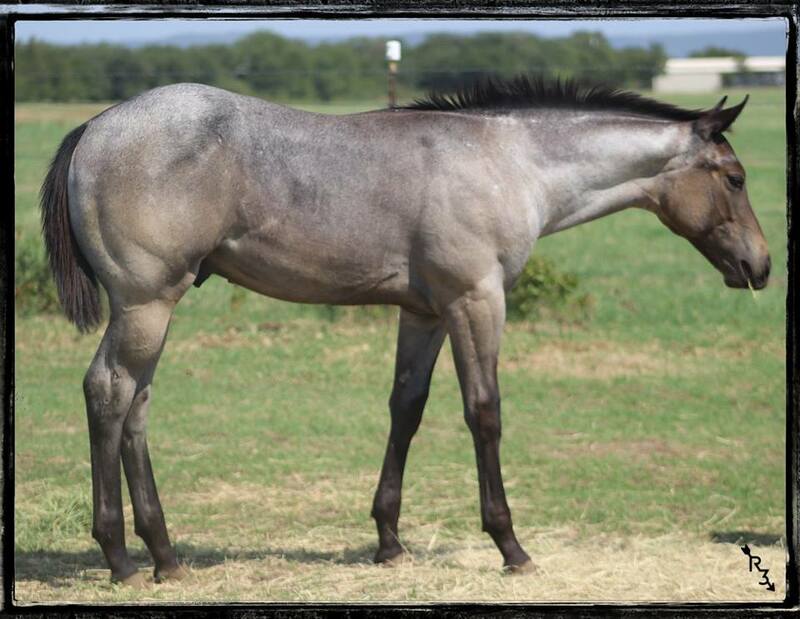 Swisher's 3/4 Brother. 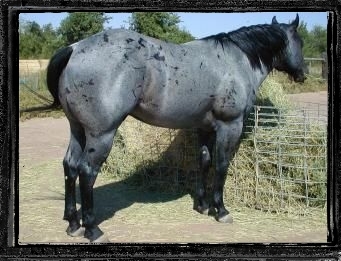 1998 Blue Roan Stallion "Hancocks Dividend"